BOTOX® Cosmetic is the first and only FDA-approved treatment that can temporarily improve the appearance of moderate to severe frown lines between the brows as well as crow’s feet lines in adults. This aesthetic treatment has been approved for cosmetic use in 78 countries and the safety and efficacy of BOTOX® Cosmetic have been evaluated in both Allergan sponsored clinical trials as well as in 417 peer-reviewed articles in scientific and medical journals. Botox injection treatments have been developed and designed to help extend a youthful and vibrant look. Is it right for you, though? While there may be a number of medical conditions may impact your ability to receive this treatment, in the end it really comes down to your own personal reasons and desires. We are here to help you determine whether or not a Botox facial treatment is the right option for you at this time. During your consultation with Dr. Griner, he can answer all your questions about Botox and whether this is right choice to get the results you want. While many providers offer aesthetic botox injections, few providers understand the anatomy and function of the facial muscles like plastic surgeons do. This can result in a variety of different “looks” that make it obvious a person has had it performed. Dr. Griner’s extensive understanding of the facial muscles, their action, their depth, and the facial aesthetic ideals allow him to weaken, not paralyze your face and provide you with a beautiful, naturally appearing face without the telltale signs of bad botox. BOTOX® Cosmetic works by targeting one of the underlying causes of crow’s feet and frown lines—the constant muscle contractions from frowning and squinting over many years. We use BOTOX® Cosmetic to temporarily reduce muscle activity in these muscles. This will lead to a noticeable smoothing of the frown lines between your brows and your crow’s feet. With less noticeable crow’s feet and frown lines, you’ll still look like yourself, only younger. 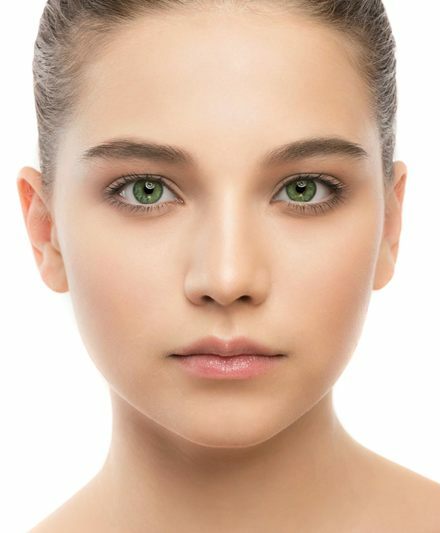 BOTOX® Cosmetic is a technique-sensitive treatment that shouldn’t cause any loss of ability to show expression when applied by someone who is licensed, trained, and a medical expert in facial anatomy. A Botox injection treatment is often referred to as a ‘lunchtime’ procedure, with the actual injection process itself taking about 10 minutes. You can have a treatment and return to your normal activities for the day. You can start to notice results within 24 to 48 hours after treatment if you’re dealing with moderate to severe frown lines. These results often last up to 4 months. Your cost is not only for the price of the product, but for the skill and expertise of the one who is administering your treatment. Actual charge for the procedure will vary because of this, so contact us for a consultation and we’ll explain the pricing.